The Stepping Stones program is designed for children as young as 15 months. Children do not need to be toilet trained for this program. The toddler program offers very young children a unique year of self-development in a tender atmosphere of special understanding, respect and support. This program also appropriately accommodates the very young child’s sensitive period for language by offering creative and intriguing concepts to expand his/her growing vocabulary. Joining conversations, listening to stories, classifying objects and learning songs and poems all nurture their budding language skills. To help smooth their initial social interactions, the toddlers learn to use words for feelings they experience in themselves and others. Many of the activities in the toddler program highlight the self-help skills that lead to independence. Children are gently urged to hang up their own coats and aprons and to problem solve rather than say “I can’t”. Since this is an age of very strong imitation, the teachers constantly model appropriate social skills, good manners and consideration of others. The Stepping Stones classroom is thoughtfully set up to foster an environment of freedom and exploration. .Upon the completion of our Toddler Program, children join our Primary Program. Most of the class time is spent in individual and small-group work. This uninterrupted period allows the individual and the class to develop a work cycle. Children who work independently and purposefully are free to move where their interests and abilities take them, thus developing their own sense of pace and rhythm. Teachers offer guidance and support, initiating activities and responding to the children’s individual interests. The daily schedule also includes collective gatherings for discussions, music, stories, games, celebrations, group lessons and guest visits. Our extended day program for kindergarten students includes more advanced work, special projects, field trips and daily formal lessons in preparation for first grade. 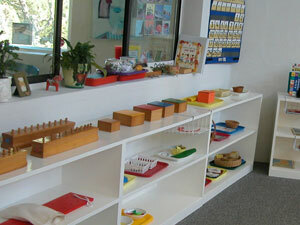 Southampton Montessori School provides the pre-primary level of Montessori education. Children are enrolled in the year of their third birthday and may continue in the program for a three year period. The preschool session is composed of an inter-age group of 3-6 year olds which runs approximately 3 hours a day, five days a week. An extended day session is offered to students who have been enrolled in the program at least one year or are four years of age and who are eligible for kindergarten. 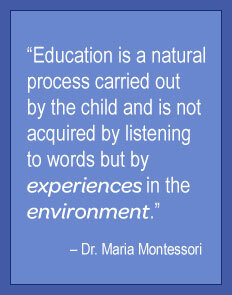 We encourage three years in our Montessori environment before moving on to first grade. This allows the child to take full advantage of our program and work in all curriculum areas. A third year Montessori child has a chance not only to progress but also to go back to earlier work and perfect it. The three year cycle and mixed age grouping further aid social development by giving children an opportunity to learn from and teach each other and to accept different levels of ability. This results in a stimulating atmosphere. By remaining for three years, children have the experience of being the youngest and oldest in the group. 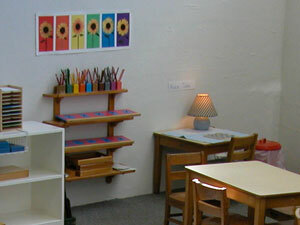 As students progress to the Lower Elementary level, they continue to benefit from the tenets of a Montessori education: individualized learning, independence, critical thinking, logical and sequential progression of learning through history integrating all other areas of learning, enrichment and further integration through the arts and, of course, the signature characteristics of a Montessori environment, respectful classrooms. Students across all levels of our Montessori school are nurtured and encouraged to work to their best ability with individual curiosity and motivation fostered daily.